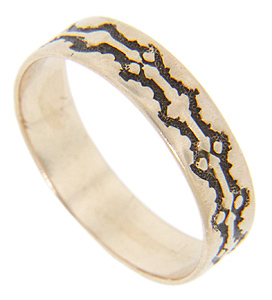 Repeating designs wrap around the circumference of this 14K rose gold antique wedding band. The Civil War era wedding band measures 4.5mm in width. Circa: 1865. Size: 5 3/4. We can slightly resize.